Candor Arts is an independent press based in Chicago. The authors we select to publish share personal accounts of their lives—offering therapeutic perspectives on learning and healing. The projects always derive from human experience and often address contemporary issues in society. We are not a medium-specific publisher. Instead, we support authors from a diverse range of approaches, backgrounds, and training. We provide design, production and consulting services in the form of books, art objects and printed matter. We specialize in book design and production, working with artists, authors, and institutions on highly considered, often handmade, limited editions. 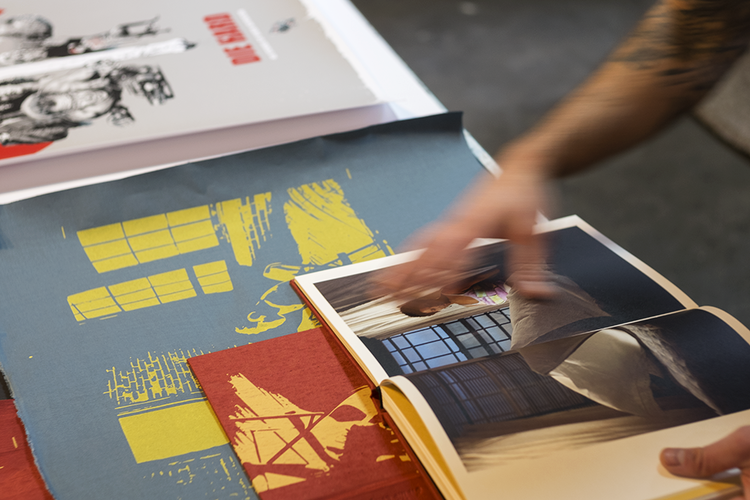 We work with art institutions, designing and producing publications from start to finish, and oversee production from small limited editions to run quantities of 500+. We are often commissioned to design, print, construct, and/or bind projects. Sometimes we are commissioned to do things we have never done. Commissioned projects are fully funded by the artist/organization and are accepted year round. We are open to any and all types of these projects. We publish books about life, learning and healing. Published projects begin as submitted proposals that are reviewed quarterly by our selection committee. When selected, these projects are funded jointly by Candor Arts and the artist. Candor Arts is an attempt to build a financial and social support system for artists and authors. Our motivation is to offer low- to no-risk financial scenarios for authors to publish their work without compromising standards for design and content. We want to create projects that make significant contributions to the author’s career, both in representation and funding. Through this model, we wish to demonstrate that our projects are deeply rooted in supporting and learning from the authors we work with: Candor Arts would not exist or matter without them. Each of us do additional work to support each other. At the time of this being written, the four of us have produced over 21 editions for 16 authors, making more than 4,250 books over the course of the last 18 months. to further the dialogues and widen the reach of the work made by our published authors.